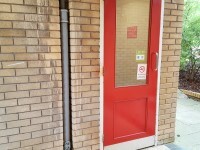 This information is for the entrance located opposite Tate Court. 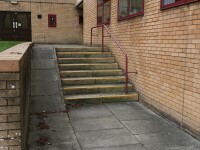 The step(s) is / are located to the right as you face the entrance, leading up from the reception. 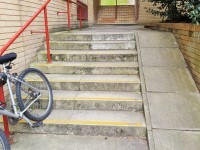 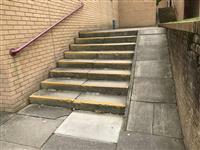 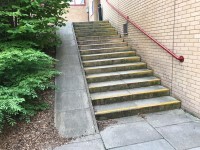 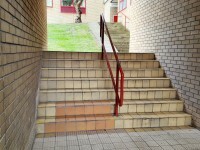 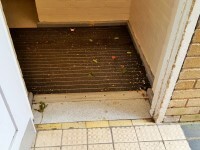 The last step, directly to the right of the entrance, does not have a handrail. 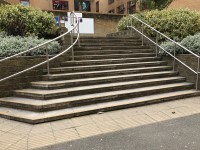 There are also 15+ deep steps to the left of the entrance, leading up to Rich Court. 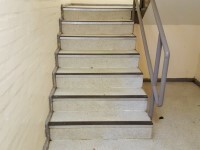 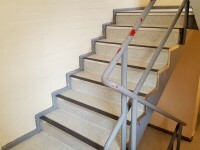 The floors which are accessible by stairs are G, Flat 2, 1, 2, 3 and 4. 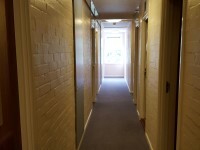 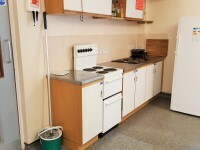 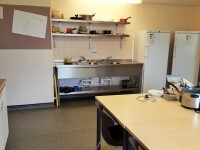 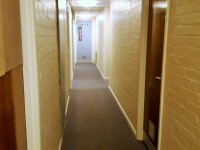 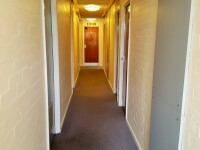 The area(s)/service(s) on the floors which are not accessible is/are all of the student rooms. 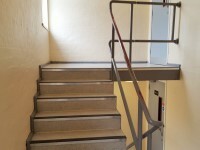 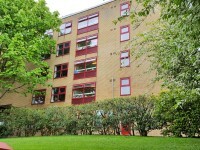 There are 7 steps between the ground floor and Flat 2 (photograph 1).